Mind Games is a story of two sisters who are not exactly like regular people. When Fia is set on an assignment, she doesn’t expect that her choices are going to change the course of things. Even Annie, who is one person who can see Fia better than the others, can’t predict what unravels with a single choice. Soon, the sisters are both making decisions that changes their lives forever. I have to be honest and admit that this is my first Kiersten White book. I’ve heard amazing things about her other series, and while I have the first book and met the lovely lady herself, I have yet to read it. So basically, I had no idea what I was getting into when I started Mind Games and truth be told the book took me by surprise. Fia and Annie are both fascinating characters, and quite unique to their own personalities. Being in the head of these two girls and discovering what drives them was quite the experience. I honestly thing Kiersten did a fantastic job bringing these siblings and their world to life. The book was a fast paced ride, and a quick read. The writing was interesting, especially when it came to Fia. It reminded me a bit of Shatter Me by Tahereh Mafi and the madness her character portrays on the pages. 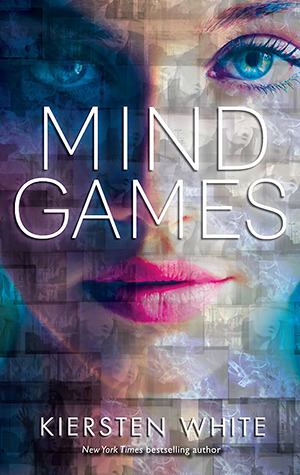 Overall, I enjoyed Mind Games and recommend it to anyone who enjoys good story. I’m a bit bummed I’ll have to wait a while to see what happens next, but that’s just the life with series! Mind Games comes out February 19, 2013. Get it, read it, love it! ← First Book Haul of 2013!